Doing what works best and makes us happiest! We create our own reality from what we choose to believe about ourselves and the world around us. As we think, we create. CHANGE what we think, and we change what we create! Do you remember the story of Johnny Appleseed? He planted apple seeds that grew into apple orchards throughout Ohio, Indiana and Illinois. 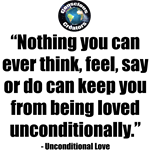 Like Johnny (John Chapman), we can plant thought-seeds throughout the world that give us the wisdom, power and encouragement to grow into the selves we want to be. Worried about what people will think if you wear a t-shirt with a serious message on it? Don’t be! Forget the message and talk to people like you normally do. Let the message speak for itself. People will accept it, reject it or think about it. After a while, they’ll look forward to seeing you so they can read the next message! Hi, my name's Pete, and I can't think of anything more exciting, or worth doing, than changing ourselves and the world for the better! Explore the many new and empowering Wisdom Designs from LifeSong that are available on a wide range of products. Visit The LifeSong Store often to see our newest designs and ideas. Create the change you want to see in yourself, and the world! 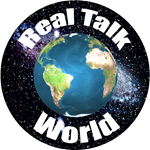 Visit the Real Talk World website by clicking on the logo above. There, you can explore and discuss ideas found in The LifeSong Store. Also, look for me (Roger Peterson) on Facebook and Twitter. The universe is alive and it can talk to us because we're part of it. Ask questions and listen for answers. Appreciate the magic and wonder in All That Is! Take advantage of this simple tool! By harnessing the power of thought and expectation in this way, you can prove that we all have the power to shape energy into a pleasing reality. Have fun! What do you love most about yourself and All That Is? Can you think of a better platform than love to build your life on? Everything is a matter of choice. So, which do you prefer, to see yourself as bad and in need of being fixed or punished, or seeing yourself as good, and excited about becoming even better? Do you like the feeling of confidence? Live by value fulfillment - be who you love to be; and practice idealism – always do the best you can with what you know and learn more to do better. Why would we be here for any other reason? Even at our worst, we’re trying to do our best. And we must not forget that to learn what we like, we must know what we don't like. As Beings of Aware Energy, we are living, loving, learning and evolving. Exploring the differences between nothing and something, creates everything. When we determine the qualities of Being and Creation we value most and actualize them to levels that work and make us happy, we're living by value fulfillment and practicing idealism. After making a political comment, while riding in the back seat of my son's car, I was spiritually moved by the thought "Wake up, wise up, and rise up." The rest came later. Can you think of anything more exciting than: being the change we love to see in ourselves and the world? Consciousness knows that for Being and Creation to fulfill its greatest potential, love must be unconditional. It is left up to individuals to learn what works best and makes them happiest. In the beginning there was nothing - until Nothing realized it was Something! After all, how can "nothing" exist without something to define it? How we define ourselves and All That Is, forms our intent, which, in turn, forms our reality. In other words, we create our own reality from what we think and feel, how act and react. Every thought is a suggestion, a blueprint for action. Is there something special you want to accomplish in life? Let a powerful, self-fulfilling idea like, having fun and getting it done, help you! “Reality” is a reflection of what we believe. Keep what works and delete or replace what doesn’t. To deny our power to create change, is both painful and futile. 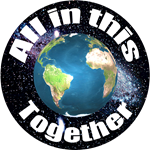 Living, loving, learning and evolving - we're all in this together. Remind us of that with this message on clothing and gifts. Real Talk World - doing what works best and makes us happiest in our oneness with and separation from All That Is - as both products of creation and creation itself. 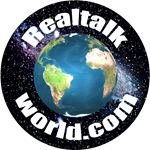 The Internet address for Real Talk World, where change is an option. 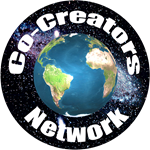 When you look at the Co-Creators Network design, what comes to mind? 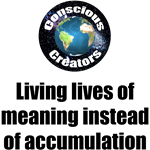 Do we create our own reality? 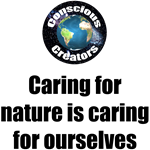 Together, do we co-create the world the way it is? 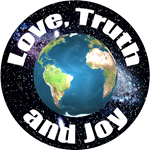 What kind of world can we create out of the energy of Love, Truth and Joy? Do these ideas give our children, ourselves, and the world the kind of power and direction we want? As we think, feel, act and react, we create. Therefore, thoughts in the form of beliefs, attitudes, values and expectations matter. So does balance. 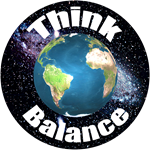 Think – Balance! Dreams and imagination allow the inner self to communicate with the outer self, which is you and me. Using these abilities allows us to look within and without for the best to express. Doing what works best for our children, ourselves, and the world is a natural value to form our lives around. To create what we want, we must keep your eyes on the prize. Products of creation accept and pass on whatever has been given to them. Creators pass on what works best and makes them happiest. Which do want to be? All That Is is living, loving, learning and evolving. That makes us ALL partners in evolution. Seeking greater understanding to serve a higher good means clarifying what we are and how we love to be with others and ourselves. What works best and makes you happiest, caring about how much or how little you have of something compared to others, or what you do with what you have? If you think you’re here to live, love, learn and evolve, do you also think you’re here to seek greater understanding and serve a higher good? How do you feel about the intent behind these ideas? Deep within the consciousness of All That Is is the desire to seek the greatest understanding and serve the highest good. Could it serve as a moral compass - a guiding light? What do you think? While Space was the “final frontier” for Star Trek, exploring the nature of Being and Creation is the “ultimate frontier” for Consciousness. What are we, who are we, and what is the purpose of life? Conscious Creators becoming the change we love to see in ourselves and the world. Waking up, wising up, and rising up to greater awareness and understanding. Lights, Camera - Action! Without energy, or the power to act, how can awareness know and express itself? Without the presence of awareness, what defines and creates a need for energy? Doesn’t one need the other? If "matter," as we know it, is this close to something being nothing, does it suggest that awareness throughout energy, Consciousness, really is the Source and Substance of All That Is? Why don’t we fall right through each other? Because electrostatic fields that attract and repulse each other provide our biological senses with the illusion of density or “solid” matter. In the beginning there was nothing - until Nothing realized it was Something! After all, how can Nothing exist without Something to define it? Electrostatic forces of attraction and repulsion make it possible for awareness and energy to interact and evolve in an infinite number of ways. Imagine Aware Energy is everywhere and every thing. Without everything being aware, how can differences emerge? How can everything know itself from every other thing? As humans, we think of ourselves as separate. As Beings of Aware Energy, we think of ourselves as both one with and separate from All That Is. In each case, how will we tend to treat each other? As we think, feel, act and react, we create our own unique version of All That Is. So does every other point of awareness and action, which makes us all both products of creation and creation itself. If All That Is is comprised of aware energy, why wouldn't it be able to be anything and travel through itself to anywhere? 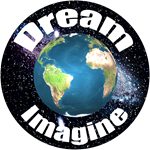 Why wouldn't it be able to be and do anything it could imagine? Whether we are experiencing ourselves as beings of Aware Energy in alternate dimensions of reality or as Human beings in this reality, we think, feel, act and react; therefore, we ARE. Every thought is a suggestion, a blueprint for action that wants to fulfill its potential, like you and me. In other words, thoughts are “things” with a reality of their own and each of us, an artist. To replace thinking that creates behavior we don’t like with thinking that does, we must look within ourselves for reasons and understanding that provide us with the strength and incentive to change. If what we think and feel determines how we act and react, to change or control how we act and react, don’t we need to change or control what we think and feel? Isn’t this the job of the self? We have the power to walk, talk, read, write, smile, frown, and build a home or business. We even have the power of infinite imagination. Refuse to be a victim or believe you are! We have the power to walk, talk, read, write, smile, frown, and dream. We even have the power of infinite imagination, and it all happens in the present. By learning the difference between what we like and don't like, what works for us and what doesn't, what makes us happy and what doesn't, we can Be and Create what we value most. Change begins within. If a new idea survives the internal vetting process, it rises to the surface of consciousness to become part of our reality. How would you define the process of making the unknown, known, the invisible, visible, creating order out of chaos and making sense out of nonsense, if you don’t call it creation? Being and Creation make the invisible, visible, the unknown, known, driven by the impulse to create order out of chaos and make sense out of nonsense, in an endless dance of quantum entanglement. What are we? What do we know that we don't know we know? What can we do that we don't know we can do? Questions help us create the known out of the unknown. Curiosity, observation, exploration and experimentation make the unknown, known, the invisible, visible, creates order out of chaos and makes sense out of nonsense. When something we love turns into something less; for example, when our house becomes a mess, don’t we feel compelled to recreate the desired level of order out of the chaos? When something that seems important makes no sense to us, what do we do? We push forward until the mystery gives way to understanding. Then we move on. Without the Impulse to Be and Create and the Promise of Being and Creation, the beating heart of consciousness, how can anything exist? The birth of anything new reminds us of this. Pushed from within by the Impulse to Be & Create & drawn from without by the Promise of Being & Creation, makes choice essential as well as challenging. When we want to learn how to read or write, we practice and pay attention to what works, don't we? In the process, we expand our awareness and develop new abilities. As the smallest units and more complex organizations of Aware Energy explore the differences between each other, they create entities like you and me. Noticing and exploring differences between you and me, whether we’re atoms or people, creates individuality, self, and other awareness. As Consciousness becomes more aware of the differences between Here and There it creates the reality of Space and opens the door to new forms of Being and mobility. As Consciousness becomes more aware of the differences between Now and Then, it creates the reality of linear Time and opens up a new way for consciousness to Be and experience itself. Every change in behavior begins when we change what we think and feel, how we act and react. It begins with a jump or shift in perspective! Every thought or idea is a suggestion, a blueprint for action. The challenge of Being and Creation is learning how to use the power of thought and imagination to shape energy into a pleasing reality. The challenge is to shape the energy of ideas into a pleasing reality. The prize is a sense of satisfaction, the feeling of a job well done. With thoughts in the form of beliefs, attitudes, values and expectations, fueled by the energy of love, desire, fear or need, we create the landscape of our lives. The value of an idea is in the reality it creates. Using ideas in the form of beliefs, attitudes, values and expectations, we construct the landscape of our lives. Thoughts are "things" with a reality of their own and each of us, an artist. The challenge of Being and Creation is learning how to use the power of thought and imagination to shape energy into a pleasing reality. It's kind of like writing or singing a song! What we believe about ourselves and the world forms our intent, which, in turn, forms our reality. Every idea we adopt as a belief becomes a building block in the creation of our reality. Are we here to endure life or live, love, learn and evolve from it? Which approach makes more sense? What do we want most for our children and ourselves? Discovering the secrets hidden in the shadows of our experience takes time, patience, observation, imagination and experimentation. Are you game? There is what we like and don't like, what works for us and what doesn't, what makes us happy and what doesn't. Do what works and makes you happy! As we think, feel, act and react, we create. If thoughts are "things" with a reality of their own and each of us, an artist, isn't creating reality a matter of practice? Think about all the things you do that you couldn't do if you didn't trust yourself. Remind yourself of this at every opportunity, until trusting yourself becomes a firm belief. Make a list of all the things you do now with excellence. Think about all the things you can do, if you want to. Now, can you think of any reason why you shouldn't believe in yourself? "Inside Ivy" (https://realtalkworld.com/2007/09/28/inside-ivy/) is a great example of what it's like to see and feel ourselves in each other. Check it out! As Beings of Aware Energy, we are both one with and separate from All That Is. Doesn't it stand to reason that we're all evolving in our oneness with and separation from each other? We can live for the love of being and creation or run from the fear of it. What do we want motivating our actions most, love or fear? When we can see the magic and wonder in All That Is, we automatically feel the energy of love and appreciation. Like developing any skill, it takes practice. Without the ability to create Individuality within Oneness, how could you and I exist? How could we enjoy the beauty of another person, a flower or a sunset? Without All That Is, we could not be what we are or who we are, and we could not do what we do. What we believe about ourselves and the world around us forms our intent, which, in turn, forms our reality. The universe is alive and we can talk to it! For an example, read "Talk to the Universe" at: https://realtalkworld.com/2013/11/11/talk-to-the-universe/. Google similar articles. The challenge of Being and Creation is learning how to use the power of thought and imagination to shape energy into a pleasing reality. It is a great responsibility! 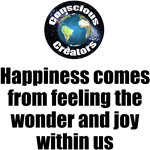 As multidimensional, vibrational Beings of Aware Energy, we are both one with and separate from All That Is - we are both products of creation and creation itself. Got questions? Talk to the universe! How can we love ourselves if who we are is never good enough? This is so true: there is no greater source of fear than the denial of power and worth in ourselves and each other. As Beings of Aware Energy or Consciousness, there is no greater source of love than our acknowledgment of power and worth in ourselves and each other. Judgment divides us while learning from experience unites us. Make learning from experience more important than judging ourselves by it. We practice how to be with each other and ourselves all the time. Learning would go much faster, however, if we were more aware of it. We can even talk about it! This one is for those who love to affirm their beliefs. :) Don't we all want to be loved and valued? Shouldn't it start with us? This thought takes us far beyond life as human beings. However, as Beings of Aware Energy, we are both one with and separate from All That Is. We are both products of creation and creation itself. How do you love to be treated? The more you treat others the way you love to be treated, the more they will treat you the same. What you give is what you get. Without failure, how can we define success? It's All good so let'stop beating ourselves up over this idea. Every "failure" brings us one step closer to success! Learning the difference between what we like and don’t like is necessary to create what we like. It’s all good because there’s something to be learned from everything. Right and wrong, good and bad control us from the outside-in. Learning the difference between what works and what doesn't allows us to control ourselves from the inside-out. Observation, exploration and experimentation are the only way to learn the difference between what makes us happy and and what doesn't. How else can we learn how to create happiness? Without learning what we don't like how can we know what we do like? Without the freedom of exploration and experimentation, how can we learn? If we convince ourselves that "Evil" exists, what can we do? Where is the hope for change? Without the experience of hate, how can we know love? Responsibility provides us with the freedom to develop independence and Response Ability. Irresponsibility and the belief that we’re evil, robs us of that freedom. Who is in a better position to know what works and makes you happy than you? Stigmatizing judgments like right and wrong, good and bad, give other people control over our thoughts and actions, while learning what works and makes us happy gives us control and responsibility. Remind yourself of all the things you do every day for the self you'll be tomorrow. Don't let your behavior become so routine, you forget to appreciate yourself. Begin a list. What do we want most for our children, ourselves, and the world? Creating a world that works well for all of us is about oneness and cooperation, not separation and competition. In a world that looks more for what's bad about itself than what's good, it's easy to stop seeing how good we are, how much we do, and how good we do it. Never forget! Since we use the power of thought and imagination to shape energy into reality, why not look within and without for the best to express? What is freedom? If we're not free to think inside and outside ALL boxes, are we truly free? I don't think so. What do you think? We always do the best we can and try to learn more to do better. So, why are we so often blind to it? Are we conditioned to only see the negative in ourselves? Unconditional love knows we're doing the best we can and learning more to do better, even though we may not be aware of it. Always doing the best we can and learning more to do better! Instead of value judgments like right and wrong, good and bad that control us from the outside-in, why not learn what works best and makes us happiest so we can control ourselves from the inside-out? Attitudes weaken or strengthen us. "Doing for ourselves what others will not or cannot do for us" not only strengthens us, it gives us direction and motivation. If we spend more time feeling the wonder and joy that exists within us, think about how that can change the world! Living lives of meaning emphasizes value fulfillment, creativity and self-improvement, over the accumulation of material worth. Material worth, alone, has no meaning. What's more exciting, or worth doing, than changing ourselves for the better? Whether it's positive or negative, as We change, we change the world. Isn't that important to remember? When we make how we treat each other more important than how we measure up to each other, we make a small change within that creates a huge change without. Is "how" we are more important than "who" we are? "How" we are determines how we treat each other. "Who" we are, ego, sets us up for separation, comparison, and competition, "I win, you lose." Do we do more for love than we do for money? We've given money unprecedented power in our lives but isn't our ultimate desire a sense of satisfaction, the feeling of a job well done? Love, truth, and joy measure how we treat each other. Money, power and privilege, when coupled with competition and pushed beyond shared need, is about how we measure up to each other. Ideas are the building blocks of creation. Through thought, imagination and experience, we're learning how to shape the energy of ideas into a reality that serves us all. Consciousness (Aware Energy) is the source and substance of All That Is. It is "God", if you prefer, and it is in a constant state of becoming. What is unconditional love if it's not freedom? Making local rules (agreements) is common but at the heart of creation there is no right or wrong, good or bad. There just IS. Love knows we're doing the best we can and learning more to do better. Is living, loving, learning and evolving about finding our way back home to a state of unconditional love? Without the presence and support of unconditional love, how can Being and Creation exist? Are we born out of unconditional love and is that the home to which we always return? Creation knows we need room to breathe, a large canvas on which to express what we think and feel. How else can we find our way back to a state of natural or unconditional love? By increasing our awareness and understanding and accepting responsibility for the consequences of our thoughts and actions, we learn how to live free. Thoughts are "things" with a reality of their own and each of us, an artist. With thoughts in the form of beliefs, attitudes, values and expectations, we paint the landscape of our lives. Everything we conceive or perceive is a projection of our own consciousness, a unique production of our own making. We are responsible for everything in some small way so why not learn from it? As we think, feel, act and react, we create. To change what we create, we must accept responsibility for changing how we think and feel, how we act and react. There is no other way. Truth values honesty and integrity, which provide Being and Creation with clarity, strength, balance and stability. When we look at the world through the eyes of joy, we also feel the energy of love, acceptance, playfulness and spontaneity. Forgiveness comes when we realize we're doing the best we can with what we know and learning more to do better. Forgiveness dissolves into love. In the face of comparison and judgment, it's not easy to remember we're doing the best we can with what we know and trying to learn more to do better. Use this meme as a reminder. We know intuitively, if not consciously, that we're both one and separate. Seeing ourselves in each other creates compassion. Empathy is what we feel when we look at life from each other's perspective. It allows us to acknowledge and appreciate how challenging life is for everyone and everything. If Gratitude knows how good we are, why don't we? Practice, says Gratitude, it takes practice! It's true, to change what we think requires practice. Appreciation is what we become when we stop to look deeply and long enough to see the magic and wonder in All That Is. As Beings of Aware Energy, we are both one and separate. In a world of limiting and conflicting beliefs, this is easy to forget. "Caring for you is caring for me" is a reminder. We are both one with and separate from nature. Without it, we cannot survive. As we care for nature, we care for ourselves. Paying attention to conditions in and around us and anticipating potential outcomes is how we stay healthy and alive. Following rules and traditions without question can lead to regret. Like the wind and clouds, thoughts and feelings come and go. Like the wind and clouds, we come and go from one experience to another, one form of being to another. Fun motivation works, don't you agree? When it comes to minds and bodies, maintaining their health is a matter of "use it or lose it." So, let's all sweat swear, and laugh every day! Do we play an important role in the creation of our own reality? Absolutely! Check it out for yourself to see if it makes sense to you! Do we we create our own reality from what we choose to believe about ourselves and the world around us? Are we here to live and learn? Affirm what you believe! This image was born in a dream. The theme is Peace in the New Millennium. Wear it to inspire positive change in the world. The earth starship, New Millennium, like Noah's Ark, is on a lifesaving mission as it prepares for takeoff from the Kennedy Space Center. Do you want to be on board? We create reality with our thoughts and emotions. When we want love more than hate, honesty more than deceit, joy more than righteousness, peace more than war, we shall create them! Life is a great balancing act, where on must accept falling down in the course of learning how to stand up. Balance! "Create a Great Day!" is an empowering message to send out into the world. It reminds us that we create our own reality. In the mad scramble to survive, we often forget we're both one AND separate. That our bodies arise from earth our selves arise from consciousness, is something we need to remember.